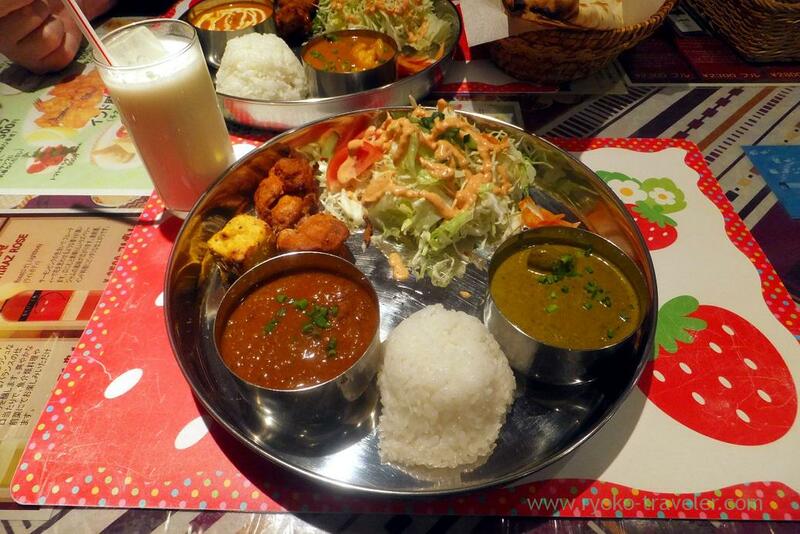 One of popular Indian foods restaurant in Chiba. Motoyawata being considered for my new town have lots of Indian foods restaurants. Sapna that I visited years ago and Atithi that I visited the other day is very popular among them. There’re three lunch sets. We chose C set that is the largest lunch set. We can chose two curries from about five species of curries, and rice, salads, two tandoori chickens, achar, naan and drink. This plate had butter chicken curry and seasonal vegetables curry (today’s special). It had mutton keema and chicken saag. We chose our drinkslassie. We can have second helping of naan and rice at both lunchtime and dinnertime. But don’t need second helping. 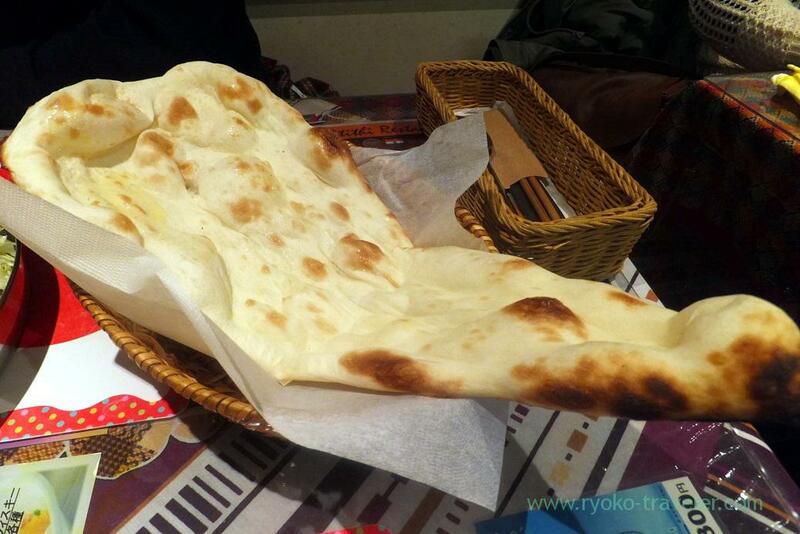 Naan is enough huge. We brought coupon for change from normal naan to green naan and showed it. 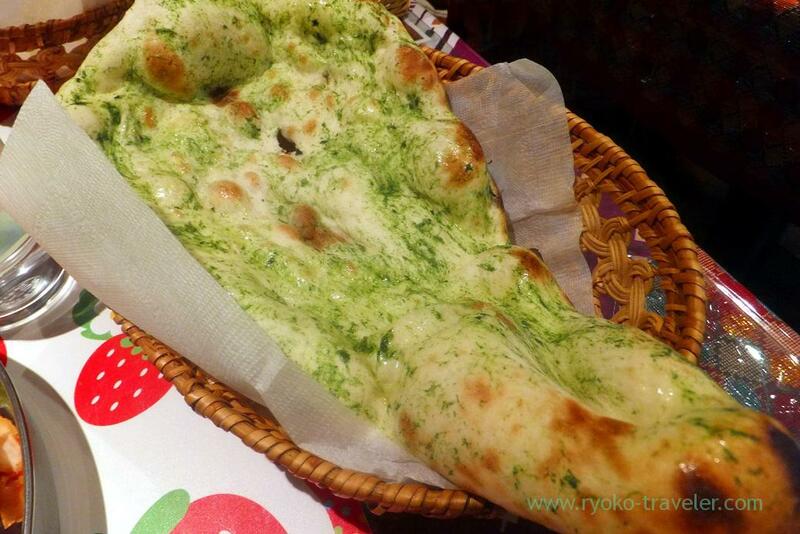 “Green naan” is spinach naan. I wish the owner would let them make their Nepal curry! 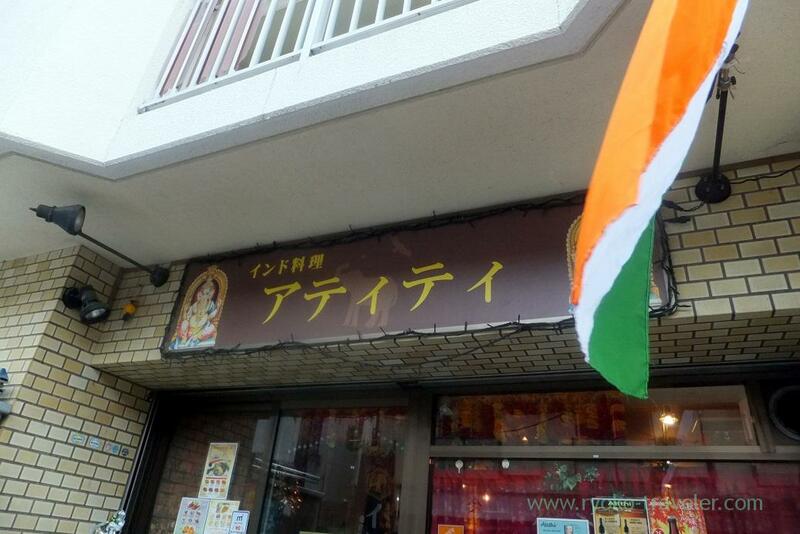 I really think its the best Indian food in Japan, much better than Sapna! You visited both Atithi and Sapna ? Me, too. And both was delicious. 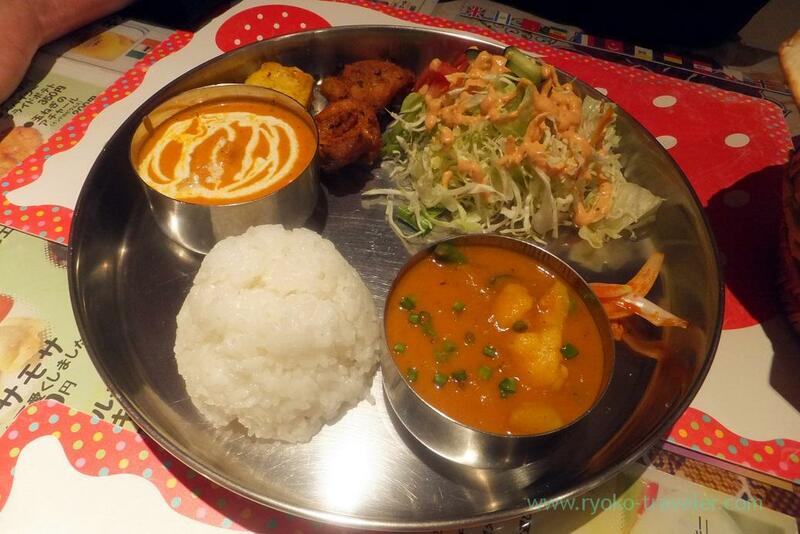 But I felt Atithi have local tastes of Indian foods and Sapna’s is similar to Japanese tastes.